Securing your computer against viruses and other threats is a common concern. Yet many people simply stick with whatever security program their computer happens to come with… if there even is security on it at all! Even if you do have security software installed, you may be paying too much. Or, you might not have the most effective security available. In this article, I will give my professional recommendations for what security software to put on your computer, whether you have a Mac or a Windows computer. But first, we will begin with a brief overview of how to determine the most effective security solution for computers. Security software is a complex subject matter. Many factors contribute to your overall computer’s security. To simplify the matter, we’ll only cover the two most critical components to security software. The firewall constitutes your first line of defense, while antivirus software is your second line of defense. One way to visualize what each does is to think in terms of a medieval city. The firewall is analogous to a medieval city’s defensive walls. City walls once kept threatening adversaries out of cities in centuries past. They allowed only controlled and vetted traffic in through the front gate. A comparable analogy for antivirus software would be to think of it as the city guard, the police force within your city. This brave force must track down and imprison those threatening intruders who manage to sneak past the city walls. Most security suites today include both firewall and antivirus components (among other features). Alas, the truth is that no single security suite excels in all categories of security. Indeed, the sad truth is that the most well-known firewalls are rather bad at what they do. But the good news is that a few firewalls are rather good. Most antivirus programs are pretty effective, thankfully. Some are significantly better than others, though. Windows is by far the most popular operating system for personal computers. Naturally, it is therefore the most covered by security articles and lab reviews online. Searching online for security reviews is a good start to finding the best security for you. Popular magazines like PC World and PC Magazine offer informative reviews on the experiences of a tech savvy staff member. They will provide useful information such as user-friendliness, but many readers do not realize they tend to test the security products only on very small samplings of viruses and other threats. The best sources for determining security effectiveness are from the third-party labs that actually certify security products. Some, like AV-Comparatives.org, even provide free of charge downloadable reports of their latest and extremely thorough lab tests. Labs like these will perform far more thorough testing of security products, such as by testing antivirus programs against tens or even hundreds of thousands of virus samples, rather than a mere handful of virus samples as popular magazines will often do. For firewalls, I am partial to the folks at Matousec.com, where IT experts perform rather extensive firewall testing and provide detailed reports and comparisons. That said, here are my recommendations for your Windows computer. I offer two categories of the “Best” security solution. The simplest solution is to simply put one free and easy-to-install security app on your computer. Towards that end, I offer the Best Simple Security. If you don’t mind learning a bit of tech fine tuning, however, the best security available consists of mixing and matching the best antivirus with the best firewall. For this, I offer the Best Mix & Match Security. Best Simple Security for Windows: Avast Free Antivirus. 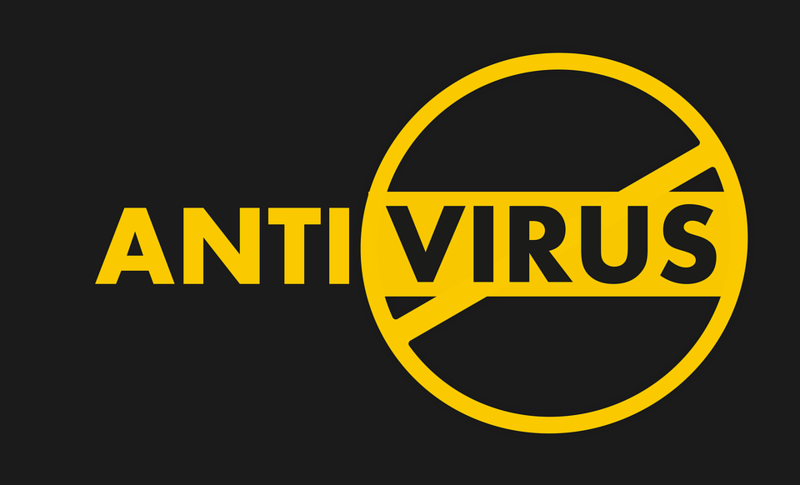 This is the best free antivirus option available for its effectiveness against viruses. While Avira is slightly superior and also offers a free antivirus option, only Avira’s Pro version can be configured to run fully automatically; Avast is free and automated off the bat, and therefore much easier to setup. While this free program does not include a firewall, Windows will run its free built-in firewall in the absence of an installed firewall. While not particularly effective, you will still have adequate protection with Avast, so long as you’re not engaging in more potentially compromising online activities such as online banking (if you are, I recommend one of the other two security options). Best Mix & Match Security for Windows: (1) Avira Antivirus Pro + (2) Comodo Firewall. This is my favorite security combo, and I’ve been using the two together for years with enormous success. While this combo requires a bit of tech savvy to configure properly (especially Comodo), it presents a more effective solution than Avast provides. Brian’s Computer Services can install and configure this combo for you, if you’d prefer. Contrary to popular belief, Apple Macintosh computers should indeed have security software installed and running on them. While it’s not possible for a Windows virus to harm your Mac, Mac viruses do in fact exist and can be just as harmful and disruptive as their Windows counterparts. Lab reports on Mac security effectiveness are only more recently becoming easily available online (such as from AV-Comparatives.org), but at least we can now make more informed choices. Best Security for Mac: Avira Free Antivirus for Mac or Avast Free Mac Security. As current testing is limited compared with Windows security products, several security programs seem to perform comparably well. Among the best are Avira and Avast, though a few others also perform comparably well. Since both are free, there’s no need to pay for a Mac security suite… but there is definitely a need to having security on your Mac, whichever one you choose. Between Avira and Avast, Avast tends to be very slightly more effective at detecting viruses on Macs (the opposite for their Windows counterparts), though Avast has longer scan times on the other hand. Some of you are more familiar with other security suites. You might be surprised I didn’t recommend Norton or McAfee. While both of these are better known and do offer decent antivirus protections, both also offer surprisingly poor firewall protection. And their antivirus capabilities are comparable to Avast’s free antivirus program, so… why pay for something popular when you can get the same quality from a free program instead? There’s so much to cover when it comes to security, but only so much I can type in a blog entry. I linked to Matousec and AV-Comparatives earlier in this article. They offer far more detailed analyses of many security products. You can find a plethora of security tutorials on sites like KhanAcademy.org or Udemy.com as well for a more detailed education on computer security. In the near future, I intend to cover and recommend security apps for tablets and mobile phones as well, which can work a bit differently from their computer counterparts.